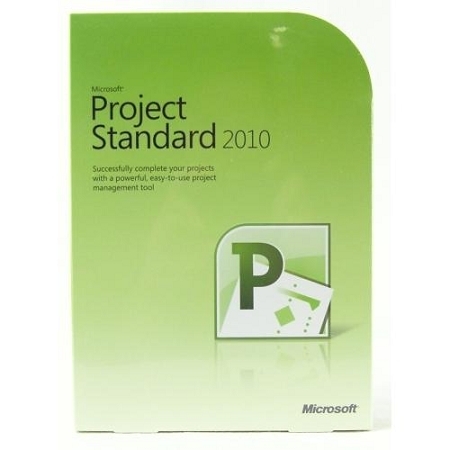 Microsoft Project Standard 2010 delivers powerful, visually enhanced ways to simplify planning, collaboration and resource management so you can successfully tackle all types of projects. With Project 2010, individuals, teams and the enterprise can realize the results of unified project and portfolio management by adding Microsoft Project Server 2010. Project Server 2010 ensures organizations select and deliver the right projects while gaining greater visibility and control of resources, leading to improved productivity and better business performance. See the right mix of people and resources — simply drag and drop to effectively plan tasks for your entire team and project. Quickly solve problems by identifying unscheduled or unassigned tasks and be visually alerted to potential problems. Windows XP with Service Pack (SP) 3 (32-bit), Windows Vista with SP1, Windows Server 2003 R2 with MSXML 6.0, Windows Server 2008 with SP2 (32-bit or 64-bit), Windows 7 or later operating systems. 2.5 gigabyte (GB); a portion of this disk space will be freed after installation if the original download package is removed from the hard drive.